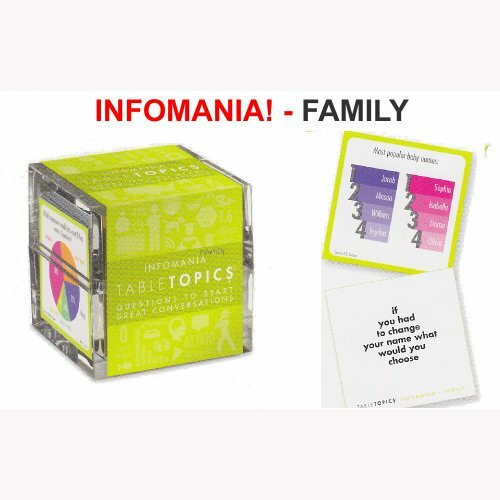 This edition combines our love for really amazing (sometimes wacky) information with our passion for fun, family conversations. The back of each card holds an interesting fact or statistic in the form of an INFO-graphic. The front of each card holds a conversation starter question related to that statistic. It’s information – meets graphics – meets great questions – makes for fun conversations. 135 questions with graphic facts. From the Table Topics Game people! Another great conversation starter for families!